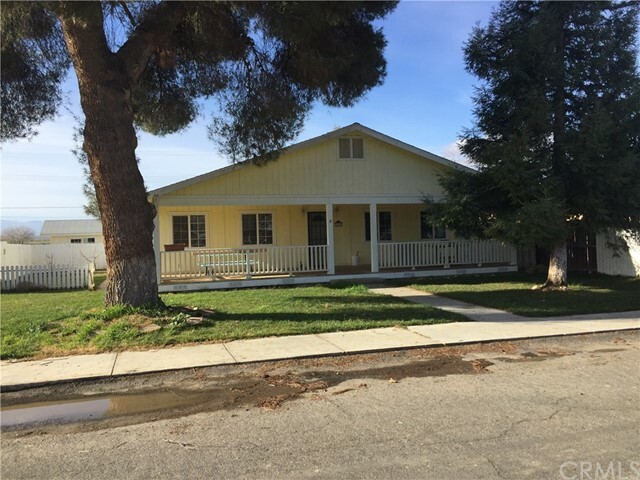 All New Cuyama homes currently listed for sale in New Cuyama as of 04/26/2019 are shown below. You can change the search criteria at any time by pressing the 'Change Search' button below. "Ideal For A Large Entertaining Family (4 Bedrooms, 3 Bathrooms on Over 1/4 Acre)... One of the Largest, Nicest & Newest Custom Homes in the Peaceful Village of New Cuyama... A Mayberry Type Village Located in the County of Santa Barbara, CA... This Home Invites You in with a Massive Front Porch Ideal for Entertaining or Visiting the Neighbors on their Evening Strolls. Inside You'll find a Grand, Grand Room which Incorporates the Spacious Kitchen, Large Breakfast Bar & Dining Area (An Entertainers Delight). There's 3 Spacious Bedrooms with 2 Full Bathrooms for Easy Living. The Large Master Bedroom/Suite with Full Bath & Twin Sinks is Enhanced with a Private Back Patio/Porch for Your Private Evening Viewing of the Spectacular Sunsets. For Your Convenience there's a Large Pantry along with Indoor Closeted Laundry Area. New Carpet & Vinyl Have Recently Been Installed Throughout the Home. A Large Forced Air Heating & Air Conditioning System Keeps This Super Insulated Home Comfortable & Cozy Throughout the Beautiful 4 Seasons... The Huge Lot, which is Over 1/4 Acre Has 2 Mature Evergreen Trees along with Lush Front & Side Lawns, Provides a Beautiful Setting for This Home. There's a Small Building (Approx 12' X 12') on a Concrete Slab, With Windows & Drywalled, Located in the Rear Yard (Many Possible Uses). If Your Looking For RV Parking For Your Motor Home, Travel Trailer, Boat, Or Any Of Your Toys This Property Has It In Several Areas... Wont Last Long!!!"